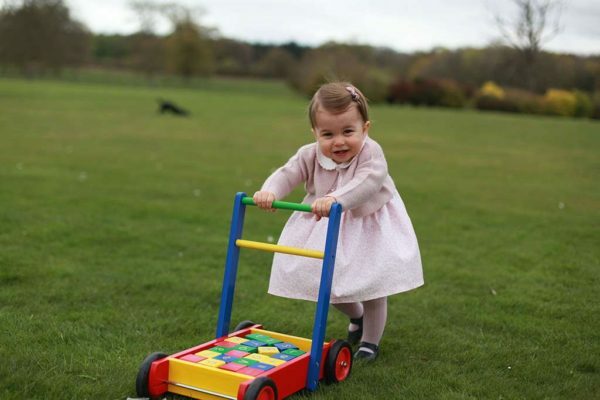 Princess Charlotte is worth more than Prince George, so you go girl! In a surprising case of financial gender disparity, it’s been revealed that three-year-old Princess Charlotte is “worth more” than her five-year-old brother, Prince George. Honestly, this is making us a little more gleeful than it should but we’re very invested in the whole “Who runs the world? Girls!” manifesto. Okay, if we point out the fact that the royal family are all much richer than us and that seems very unfair, we can move on to Charlotte’s projected earnings. Wait, what? Yep. It seems that Reader’s Digest (previously that cute little magazine that you might have found next to the bonbons on your granny’s coffee table) has done some research into the younger royals’ future wealth, and Charlotte is coming up way ahead of George. #GoGurl! “Prince George is estimated at a net worth of $3 billion, but Princess Charlotte takes the cake from the entire family with a whopping $5 billion,” Reader’s Digest says. So why is Charlotte over a billion pounds ahead of George in Reader’s Digest’s calculations? It’s because she more readily slots into the role of ubiquitous ‘fashion influencer’! Shazam! While royal watchers are most certainly keeping up with Prince George, it’s Charlotte’s outfits that are creating a stampede and selling out as soon as she wears them. The theory is that as she grows up, her influence will continue to bloom. It’s something we’ve already seen happening with her mum Duchess Kate’s fashion choices – and her aunty Duchess Meghan’s outfits too. 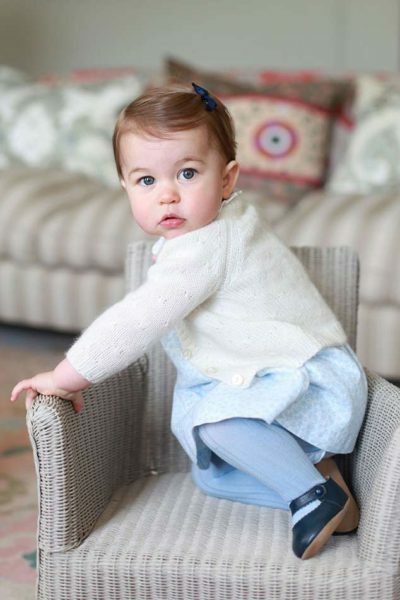 As we’ve previously reported, Charlotte is almost always seen in traditional smocked frocks and cardigans. Add a hair bow, some lacy socks (or cute tights) and shiny Mary Jane shoes and you’ve got a look that’s sought by many – and easily mimicked by parents of other little girls. Indeed, Charlotte’s style is quickly scrutinised by fashion fans every time she appears in public. The garments she wears are then quickly tracked down – and sell out in a trice. The shawl Charlotte was debuted in after her birth, a sweet yellow lamb-emblazoned John Lewis cardigan she was photographed in by her mum, a cardigan with rose detailing are just a few examples of looks that Charlotte has helped to sell out in the days after she was seen wearing them. “It was within a few minutes we noticed on our website that the shawl was starting to sell,” G.H. Hurt & Sons director Gillian Taylor explains. Her company had 100,000 people visit their website that day, hailing from over 183 countries. “We sold a lot initially in America, Australia, Canada and are still selling some now,” she told The Telegraph. The John Lewis lamb cardi also sold out! Sometimes the clothes Charlotte wears are already sold out when the images hit the press – because perhaps they are from a previous season – but the exposure gives their maker a brilliant boost. “Princess Charlotte wearing two of our floral dresses has had a huge impact on our brand,” Margarita Pato of Spanish childrenswear label M&H told The Telegraph. Sometimes parents are seeking to snaffle a version of Charlotte’s style, rather than the actual items she’s wearing. “Demand for items Princess Charlotte wears will surge massively on our site,” a spokesperson from kids wear site Alex and Alexa told The Telegraph. It’s expected this ‘Charlotte Effect’ will continue to go from strength to strength, and she’ll not only be responsible for a roaring trade in smocked frocks and shiny shoes but all kinds of other more grown-up looks as she navigates life. This drives her net worth up much higher than her brothers’. So there you go! That’s why tho!